The HVR-HD1000P features a shoulder-mount design and black matte body similar to that of professional camcorders; making it perfect for weddings, corporate communications, and events where appearance makes a difference. Premium design characteristics and high-definition HDVTM1080i recording are the main features of this new one-piece shoulder camcorder, ideal for working videographers on a budget. A built-in down-converter creates DV material, perfect for standard DVD productions. Plus, a special still photo mode is ideal for producing DVD cases and making wedding photo albums. 4.6-megapixel (16:9-aspect) photos while you are shooting HDV video simply by pressing the photo button. HVR-HD1000P /camcorder offers integrated HDV and DV formats. Designed for the wide range of customers who currently use standard definition (SD) production, from wedding videographers and freelancers to educational video creators, the HVR-HD1000P / HD1000N offers advanced functionality and a premium design at a highly competitive cost. This unbeatable combination means it’s never been more affordable to enjoy high-definition versatility and harness new high definition (HD) business opportunities. A key benefit of the new HVR-HD1000P / HD1000N is HDV1080i / DV recording and playback capability. The HDV format packs approximately 60 minutes of HD video on to an inexpensive miniDV cassette tape. Sony’s next-generation image sensor, the 1 / 2.9-inch ClearVid CMOS Sensor™, offers up to 3.2 megapixels for superb clarity. The ClearVid CMOS Sensor uses a unique pixel layout rotated 45 degrees to provide the high resolution and high sensitivity normally found only in higher-end professional camcorders. In addition, the Carl Zeiss Vario-SonnerT* lens with 10x optical zoom ensures adaptability to a wide range of shooting situations. The special T* lens coating suppresses unwanted reflections and faithfully reproduces colours for professional results. These features are further complemented by the Super SteadyShot™ image stabilizer, which uses an active optical lens to ensure no deterioration in image quality. For total flexibility, a handy down-conversion feature outputs converted DV signals through the i.LINK™ connector to the user’s current DV non-linear editing system, while retaining an HD master tape for future use. The HVR-HD1000P boasts a powerful range of photo creation functions, which can be utilized to develop materials such as DVD inlays, web pages and news releases. Matching the camcorder’s user-friendly HDV shooting, three photo-creation functions are available at the touch of a button. The Photo Mode captures 6.1 megapixels – up to 2,848 x 2,136, while the Dual Record Mode captures 4.6 megapixels (16:9 aspect). 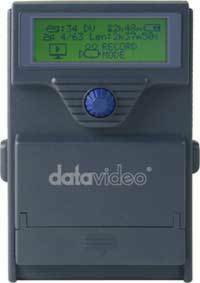 Additionally, the capturing from recorded video allows the creation as photos of scenes missed while videotaping, which can then be saved onto Memory Stick Duo™ media during video playback using the HVR-HD1000P / HD1000N camcorder’s photo button. An image captured from HDV footage will deliver a 1,440 x 810 pixel still image of that important moment, recorded as a JPEG file. “This exciting new model is rich with innovative features that speak directly to videographers’ needs, reaffirming Sony’s leadership in HD technology. For instance, the 6.1-megapixel Still Image Recording allows users to simultaneously create video and photo records of an event,” continued Yamamoto. The HVR-HD1000P features a 2.7-inch LCD screen with Clear Photo LCD Plus™ technology for accurate contrast and colour reproduction. With the camcorder shoulder-mounted, the LCD monitor is positioned in front of the camera operator, attached to the EVF level. This unique layout enables traditional EVF monitoring as well as LCD monitoring for the camera operator even while the camcorder is held on the shoulder. The 360-degree swivel mechanism allows LCD monitoring from the front, right or left of the camcorder so that a reporter or a director can monitor what is being captured by the camcorder. More, the HVR-HD1000P / HD1000N delivers up to 10 hours of battery life when using the optional NP-F970 battery. The HVR-HD1000P / HD1000N supports a variety of digital I/O formats, including HDMI, i.LINK, USB and Memory Stick. For the highest standards of video production, it also features a supplied external stereo microphone (ECM-PS1), Smooth Slow recording at 240 fieldsper second (for the HVR-HD1000N, 60i model) or 200 fields per second (for HVR-HD1000P, 50i model), a multi-function assignable lens ring, as well as the Super NightShot™ capabilities for zero-lux conditions and the support of a multi-language menu. 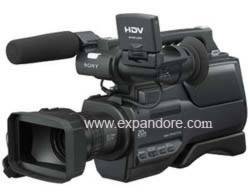 The HVR-HD1000P / HD1000N Digital Camcorder is expected to start shipping in December 2007, at a suggested list price to be announced.